Spinal shock Transition Spastic state Spinal shock Transition Spastic state patients are plotted. 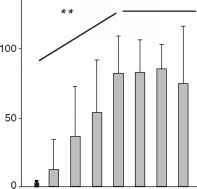 The slope of increase in excitability of tendon reflexes over time was similar to that of F-wave persistence. In contrast, during spinal shock, all patients except one presented well-elicitable H-reflexes (range H/M ratio 0.1-0.7, mean 0.31). Also, in three patients whose first recordings were performed early after injury, a well-elicitable H-reflex could be obtained. 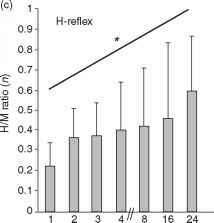 H-reflex excitability remained approximately stable up to 8 weeks after SCI. During weeks 8-24, i.e. when spastic signs became established, the H/M ratio became significantly higher in paraplegic, but not in tetraplegic, patients (not shown). However, in this context one has to bear in mind that a decrease of M-wave amplitude occurred at this stage in paraplegic but not in tetraplegic patients. 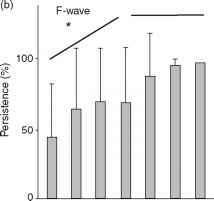 Therefore, changes in the excitability of tendon tap reflexes paralleled the recovery of F-waves, but not of the slope of H/M ratio. 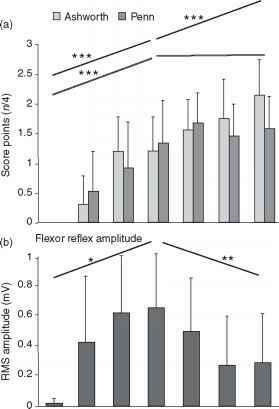 The relationship between the clinically assessed muscle tone and spasm frequency by the Ashworth and Penn Scales,7 and the electrophysiological recordings of flexor reflexes in TA (evoked at twice MT) over time after SCI, are shown in Fig. 44.2. The results of 18 patients are plotted. 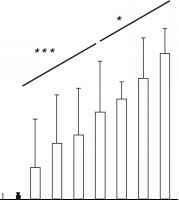 Muscle tone increased continuously over time. The frequency of muscle spasms increased after spinal shock and remained stable from the fourth week on after SCI. 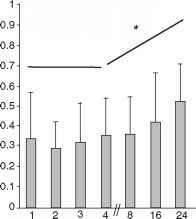 Flexor reflexes (amplitude and number of bursts) increased up to the fourth week ('transition'). However, after that RMS amplitude decreased significantly, while the number of bursts remained stable. Consequently, increase in muscle tone and spasms was associated with an increase in flexor reflex activity during the first weeks after SCI, but not at a later stage. Examples of original recordings of a paraplegic patient (level of lesion Th6) and of a tetraplegic patient (level of lesion C4) during the three periods following an SCI are plotted in Figs 44.3b and 44.3c respectively. 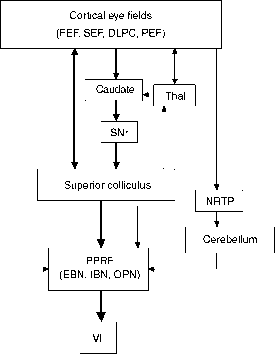 For comparison, a typical flexor reflex response obtained in a healthy subject is shown (Fig. 44.3a). During the first week after SCI, no flexor reflex could be elicited. During the second week after SCI, i.e. still during spinal shock, usually one flexor reflex burst could be elicited in most patients. During the development of spastic signs in most patients, two flexor reflex bursts were recorded. However, after the fourth week, the flexor reflex amplitude and number of bursts decreased continuously in the paraplegic patients. 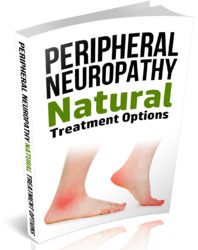 A contralateral reflex response was never found in para- and tetraplegic patients.